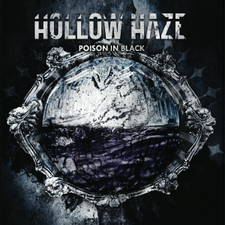 Italian metal band HOLLOW HAZE will release their 4th album "POISON IN BLACK" worldwide through Bakerteam Records on September 25th, 2012. The band was formed in 2003 by Nick Savio with the idea to put together a new original “Hard & Heavy” sound. Their first self-titled album "HOLLOW HAZE" was released in 2006. After that the band has signed with Crash & Burn Records and, 2 albums "The Hanged Man" and "End Of A Dark Era" were released through the label. 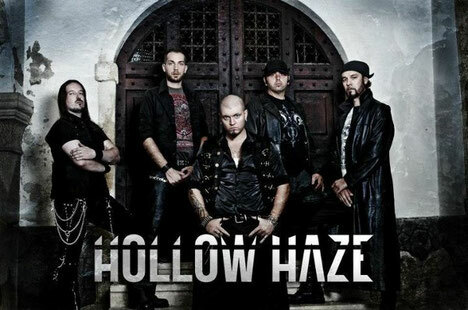 HOLLOW HAZE offers a Hard & Heavy Metal mixed with a screaming, warm melodic voice and deep intensive chorus where the listeners can find many different music backgrounds taken from the past metal glories and from the modern rock compositions. The album "POISON IN BLACK" is the heaviest chapter in the band's career, mixing sharp guitar riffs, a powerful rhythm section and classical orchestrations for what has been described as the most mature and eclectic album by five musicians at the top of their games. Recorded and mixed by guitarist Nick Savio at Remaster Studio in Vicenza, Italy. Mastering duties were handled by Erik Broheden at Masters of Audio in Sweden.